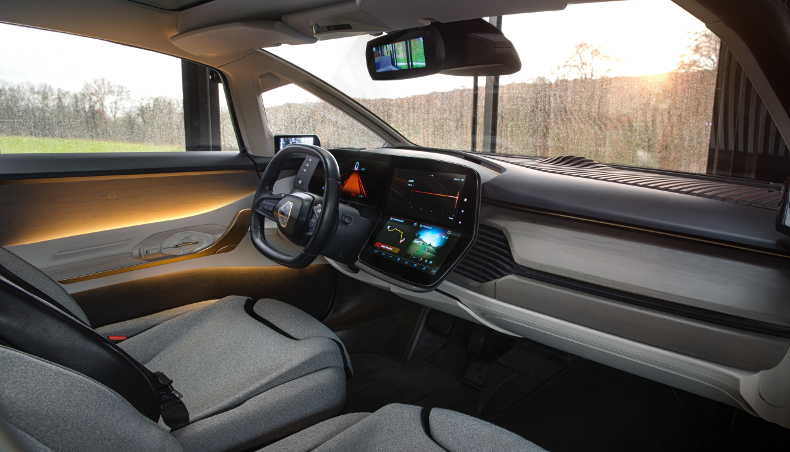 The SYMBIOZ demo car is the first vehicle that has been designed for mind-off automation from the start, thus redefining the concept of space in the cabin. The autonomous functions of the car and the activities they allow on board are the starting point for design considerations. 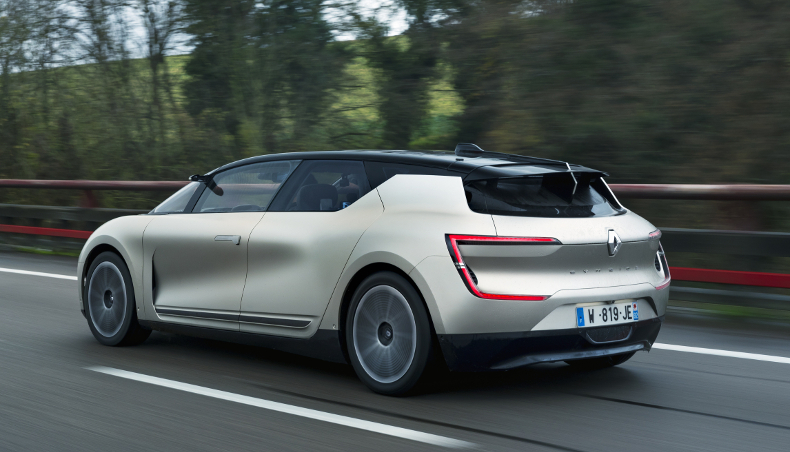 As a low-slung, one-box car with sporty looks, SYMBIOZ demo car perfectly matches Renault ‘French Design’ styling: it is sensual and warm with fluid lines and a dynamic stance. Its design is accentuated by the ‘Champagne’ body colour and pearlescent finish. 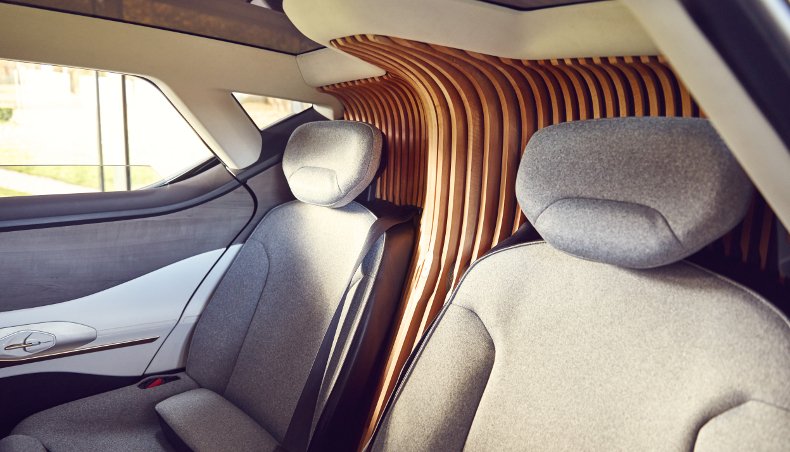 The car’s upper section boasts a vast glazed surface to let ample light into the cabin. 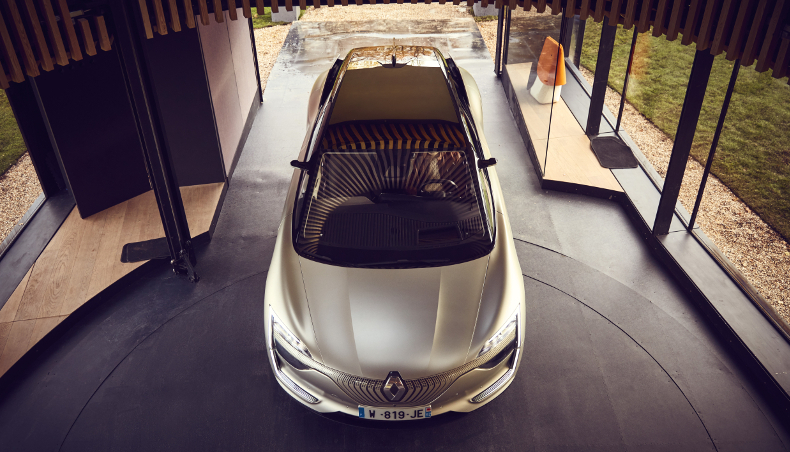 The floating glass roof features a system to adjust the opacity of the glass and the LED lighting that can be accessed from the Renault MULTI-SENSE 3.0 system interface. To improve the car’s efficiency, the SYMBIOZ demo car is fitted with a range of all-new aerodynamic features. Vertical air intakes in front of the front wheels and extractor vents behind them to reduce drag and turbulence. Side wind deflectors channel airflow as close as possible to the car body. Roof spoiler, which deploys automatically in the Dynamic mode when the car reaches 70km/h. 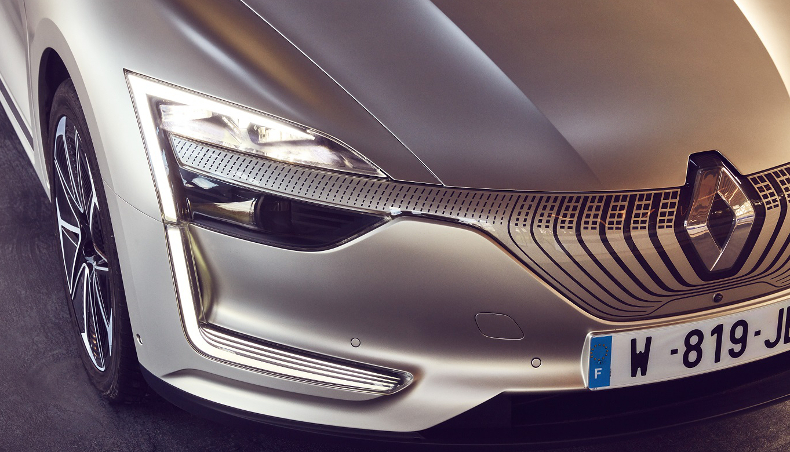 The SYMBIOZ demo car’s exterior styling incorporates various sensors for autonomous driving. Lidars are concealed in the front head lights and rear bumper, radars and ultrasound sensors are positioned behind the bodywork. 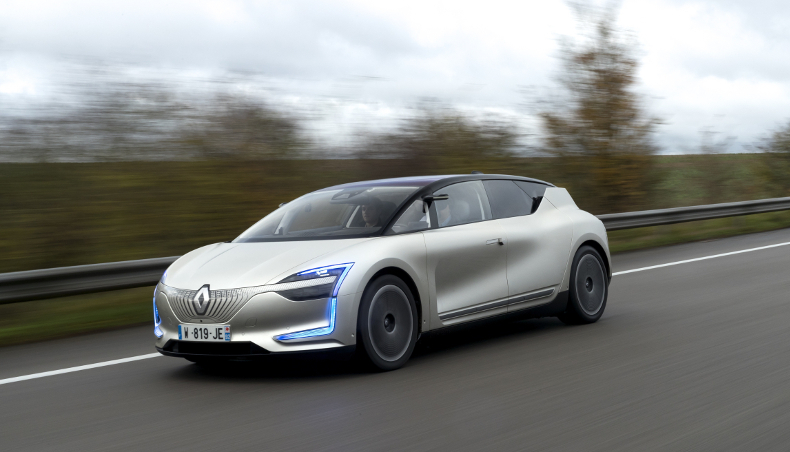 The front camera is placed in the upper part of the windshield, while the rear camera is built into the Renault diamond logo. Lateral cameras are hidden in the door handles. 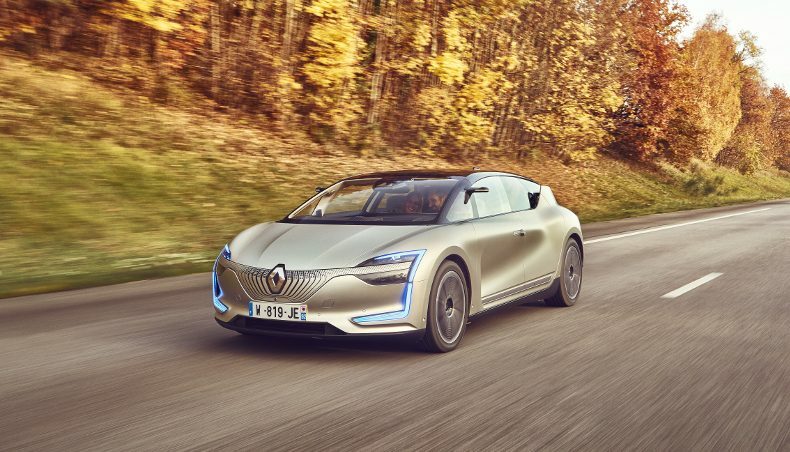 The model’s exterior lighting signature includes C-shaped lights both front and rear, carrying this hallmark Renault design into the future. When autonomous drive mode is activated, SYMBIOZ demo car lights up in blue. According to the driving mode selected, the driver can stop paying attention to the road and do something else. The cabin layout has been flexibly designed to accommodate the driver and passengers as if they were sitting in a living-room. There are, for instance, no centre console and transmission tunnel. 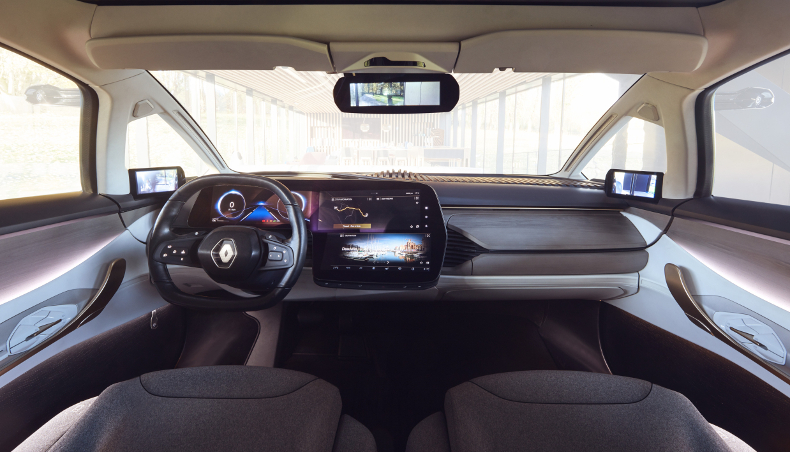 The storage areas in the dashboard have been moved to free up space on the sides and the door panels have been optimised with built-in lighting. The vehicle’s living-room-style cabin boasts individual seats for each passenger with a focus on safety and comfort. The rear of the cabin has been designed as an alcove. The digital display developed by LG consists of 3 screens, which display information in real time about driving, navigation and cabin comfort. This display also allows on board entertainment, like watching a high-definition movie. The car also features a large windshield-mounted head-up display to provide the driver with data from the autonomous drive system. At last, the lighting environment varies according to the driving mode –whether it is autonomous, “classic” or “dynamic”. The cabin can be bathed in a gentle blue, gold or amber ambient light.